Pioneers in the industry, we offer max micro concrete from India. · Parking & Bridge decks, Industrial floors, etc. 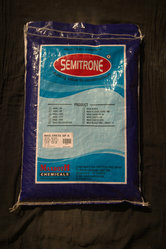 · 25 kg bag of Max Micro Concrete will yield approximately 13 liters. Actual yield will depend upon the consistency of Max Micro Concrete and Quantity of coarse aggregate added. Looking for BONDING AGENT ?